Visited the falls after hearing that it was at its grandest...it was worth a days trip...first of all driving along the western ghats along Chorla from Goa to gokak was an experience...greenery mini waterfalls mist rain and views along the way added to an awesome trip. It is here that a generation station for electricity was generated for the first time. In the country in 1887.. 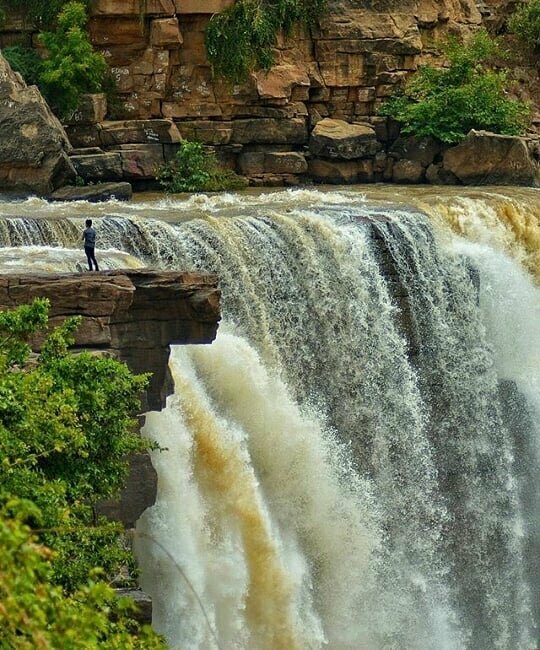 The fallThe gokak falls no doubt grand but no proper viewing area, dirt all around and no security as can be treacherous if one is trying selfies or close viewing. Would have enjoyed if one could get the frontage view but here you have to strain your necks to see it down as you are at the point where it's about to break. The authorities could charge a small fee and keep the area clean by employing some staff.